Aargh! Indeed! What about the 3rd Commandment? 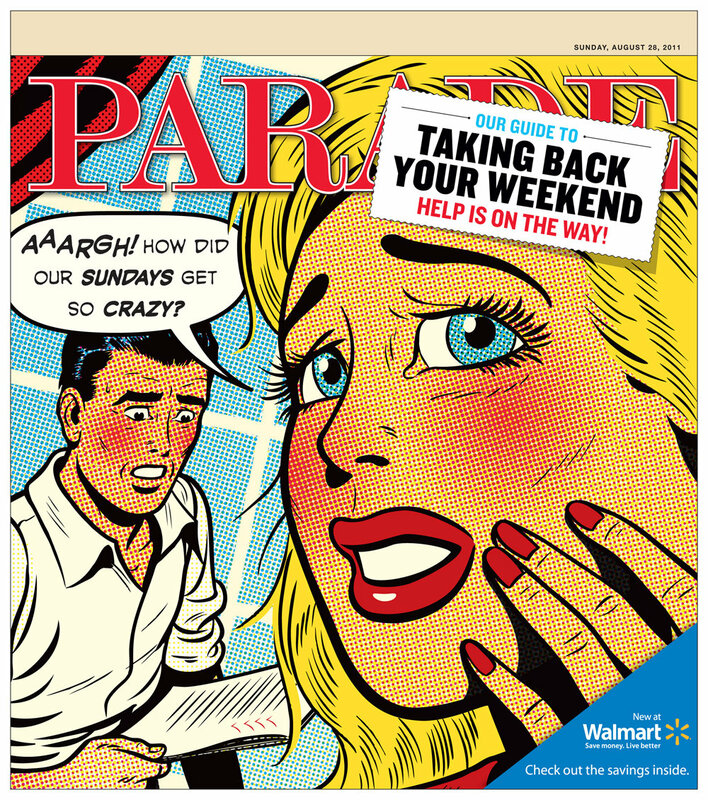 Indeed, how did ‘our‘ Sundays get so crazy?! This article in the 8/28/11 Parade magazine has 7 or so steps you can do to “take back YOUR weekend” (emphases my own). The article points out that so many activities and chores are shoved into Saturday and Sunday. ‘Church’ is even listed at the end of the list as one of the activities. And of course, that is the last mention of ‘church’ in the article. In his teaching on the Commandment, Martin Luther says that the general worker needs a day of rest, but that’s all it becomes. Even worse for all sorts of folks who, “…sin against this commandment who grossly misuse and desecrate the holy day, as those who on account of their greed or frivolity neglect to hear God’s Word or lie in taverns and are dead drunk like swine.” Sadly, the difference between the 16th and 21th centuries are not all that difference due to the sloth of the Old Adam. I have a copy of a New York Times ad which states (from memory): The New York Times : What Sundays are Made For. AARGH! No. Truly, then ‘our’ Sundays become crazy, all upside down, not right in the head or the heart. But Luther asks and answers the question: What makes Sunday holy? Answer: the Word of God. The Lord’s Word is the only way that Sundays do not become crazy! For this article, the opposite of crazy is holy. It is His Word that makes holy the day but even more, by faith, the Word of God makes holy, or sanctifies you and I. Personally, I think it significant that in other languages, such as Spanish, the 1st day of the week is called Domingo, the Lord’s Day. But Luther points out that during the week, as the Lord’s Church, we can come together for instruction in the Scripture and those hours are also Sabbath, rest, resting in His Word. Nevertheless, I think something is amiss when a day is considered ‘mine’, as in, “my Sunday”. It’s a day to remember that “without aid He did make us” (hymn verse) and without our aid He did redeem us. I also think it is significant that the Lord’s Day, the Third Day in which He rose again from the dead, is the 1st day of the week, NOT MONDAY! First things first to properly put into peace, not craziness, the work week: His Word of Law and Promise. I think it is significant that the commandment right after the 3rd (yeah, I know the 4th!) is “Honor your father and your mother”. The Lord’s day is for the family in Christ and all the households therein. For let me tell you this, even though you know (the Word) perfectly and be already master in all things, still you are daily in the dominion of the devil, who ceases neither day nor night to steal unawares upon you, to kindle in your heart unbelief and wicked thoughts against the foregoing and all the commandments. Therefore you must always have God’s Word in your heart, upon your lips, and in your ears. But where the heart is idle, and the Word does not sound, he breaks in and has done the damage before we are aware.101] On the other hand, such is the efficacy of the Word, whenever it is seriously contemplated, heard, and used, that it is bound never to be without fruit, but always awakens new understanding, pleasure, and devoutness, and produces a pure heart and pure thoughts. For these words are not inoperative or dead, but creative, living words. 102] And even though no other interest or necessity impel us, yet this ought to urge every one thereunto, because thereby the devil is put to flight and driven away, and, besides, this commandment is fulfilled, and [this exercise in the Word] is more pleasing to God than any work of hypocrisy, however brilliant.